$249 monthly payment option (0% APR/ACR for 84 months, price starting at $25,877) (5045E only)*. *Offer available 27 October 2018 through 1st November 2019. 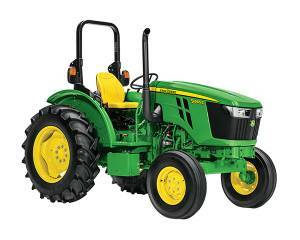 0% APR/ACR purchase financing for 84 months on new John Deere 5045E Compact Utility Tractors. MSRP cash price for a new John Deere 5045E Compact Utility Tractor (excluding attachments): $25,877 includes delivery, freight, preparation, set-up charges estimated at $1,275, and $100 documentation fee. Taxes not included. Individual dealer charges may vary. Down payment may be required. 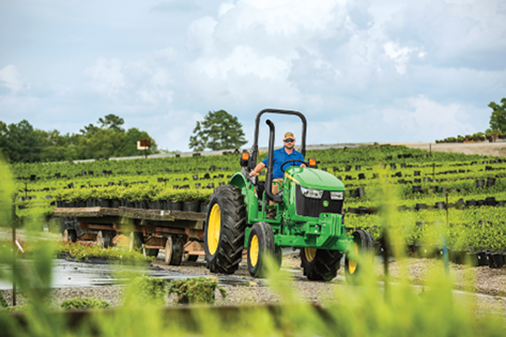 Monthly payments based on MSRP cash price (excluding attachments) of: $$25,877, less a down payment of $4,961, at 0% APR/ACR, monthly payment is $249 for 84 months, total obligation is $25,877, cost of borrowing / credit charges is $24.